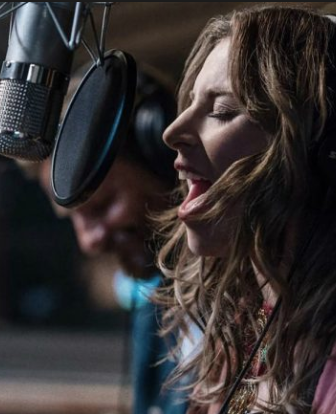 The mighty A Star Is Born ST now looks set for its third straight #1 on this week’s HITS Top 50 chart with a total north of 100k, while the Future & Juice WRLD collaboration, WRLD on Drugs, should score a strong #2 bow. Debuts from rockers Greta Van Fleet and Disturbed will join chart veteran Lil Wayne in the Top 5. While we're looking at charts, we note that Star has the #2 (Explicit Version) and #6 (Clean) positions on the iTunes album chart and four songs on the Top 10, including the Top 2 ("Shallow" and "Always Remember Us This Way"). "Shallow" is #16 at Spotify U.S. and #5 global. The Gaga-Bradley juggernaut also has the Top 2 spots at Amazon's CD bestsellers, #1 digital album and the top song ("Shallow"). WRLD on Drugs has three tracks in the Apple Music Top 10 and one on the Spotify U.S. leaderboard. In Halloween news, we're busily assembling our costume, in which we look uncannily like a schlub on a couch wearing a bathrobe and consuming a fifth of bourbon and a giant tub of fun-sized chocolate bars. Spooky!